A bomb calorimeter is an apparatus used for measuring the performance of coal in term of heat of combustion. Recent awareness has been created regarding uncertainty of measurement, due to mainly two reasons. Laboratory accreditation, which has steadily been on the rise, which requires a estimation of uncertainty of measurement particularly in the field of calibration. Second, increased maturity level of the quality system certification as the manufacturing companies looking at the reliability of measurement through correct calibration of inspection, measuring and test equipment. The quality of coal is decided by the various parameters such as ash content, air dried moisture, volatile matter, gross calorific value and sulphur content etc. The grade of coal is decided by the quality of coal which decides the performance of generation of electricity. 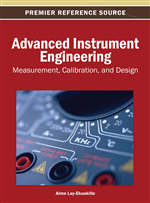 The uncertainty of measurement in bomb calorimeter gets affected by various parameters. This paper describes the methodology, uncertainty calculations and effects of individual factors on it. A bomb calorimeter is an apparatus used for measuring heats of combustion of coal. Rajdhani – RSB Digital bomb calorimeter provides a simple, inexpensive yet accurate method for determination of heat of combustion and the sulfur contents of liquid and solid hydrocarbons and other fuels (Parr Instruments, 1987). Rajdhani – RSB Bomb Calorimeter is widely used in industries in diversified fields for quality control, testing laboratories for research & development and in teaching establishments. The accessories supplied are complete for analysis as per methods recommended by the Indian Standards Institutions (IS-1350-1966), British Standards Institutions (BS 1016 Part 5 1967) and the Institute of Petroleum (IP 12/63T). Each components of the package has been finished and tested according to the specification by these institutions. A sample is weighted and placed in heavy – duty stainless steel cylinder referred to as “Bomb.” The Bomb is then sealed with oxygen and the sample is ignited electrically. The complete oxidation of the compound releases heat and this is measured through the temperature change of water bath surrounding the bomb (Parr Instruments, 1960). A digital sensor measures the rise in temperature. The heat of combustion at constant volume can be calculated from the resulting rise in temperature. Calorimetric measurement involves the use of various temperature and energy units. In order to avoid errors and confusion in the interpretation of these data, their relationships should be well understood. Temperature: Is measured in centigrade degrees. Mass: Is expressed in grams. Calorie: The measurements of heat are called calorimetry and calorie is a unit of heat energy in the metric system. The calorie, or gram calorie, is the quantity of heat required to raise the temperature of 1 gram of pure water by 1oC. The kilocalorie or kilogram calories is the quantity of heat required to raise the temperature of 1 kg of pure water by1o C; it is equal to 1,000 cal. Heat Capacity: As heat is transferred to or from an object, the temperature of the object increase or decrees relatively to the amount of heat added or removed. It can also be described as the amount of heat energy required to raise the temperature of one gram of the substance by 10 C (or 1 K). Heat Energy: In the metric system, heat energy is often expressed in units of calories per gram per degree Celsius (cal/g-0C). In the English system, British thermal units per pound per degree Fahrenheit (Btu/1b-oF). The heat energy of pure water is 1 cal/g-0C and 1 btu/1b-0F. Because of the definition of the calorie and Btu, these two heat energy units are equivalent. Scientists often use joules; one gram calorie is equal to 4.1855 joules. Heat Of Combustion: Heat released during combustion. The amount of heat released when a unit mass of the substance is burnt in a sealed enclosure of constant volume in an atmosphere of pure oxygen gas. In this reaction the substance and the oxygen are initially at the same temperature, this amount of heat is a characteristic of the substance (Jessup, 1960). Heat of combustion is used as a basis for comparing the heating value of fuels, since the fuel that produces the greater amount of heat for a given cost is the more economic.